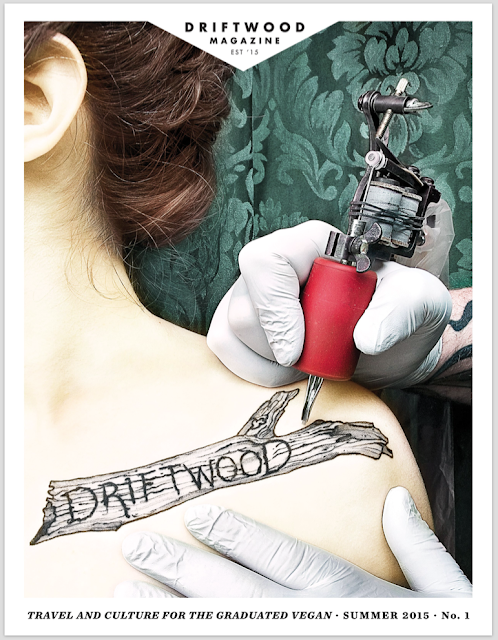 Have you heard of Driftwood Magazine? 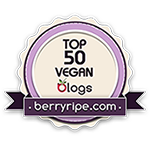 It's a beautiful, brand-new magazine, available in both digital and print formats, that is geared towards the "seasoned" vegan. You might recognize the managing editor (Michele Truty) as one-third of the team from Vida Vegan Con, and my very good friend Sarah Cadwell (who laid out Colleen Patrick-Goudreau's most recent book) is the art director! With a stellar team like that, the magazine couldn't help but be awesome. There are many different ways to subscribe. As I said before, you can choose both print and digital formats of the magazine (and have subscriptions to both, if you'd like), and you can choose a yearly subscription or just one issue at a time. I opted for one digital issue to start (only $5) because the printed price tag ($14 for one, $50 for a year) is a bit much for a poor college student like me, but I will definitely be saving my dollars to purchase an entire year of the digital subscription after reading this first issue. So, as you can see, it's easily worth the $5 for a digital copy and, if you're a little richer than I currently am, the $14 for a print copy. I promise you you won't be sorry.